A Motion passed at an ECM on Monday evening, April 18, ‘to immediately institute legal proceedings in the Land and Environment Court with respect to forced amalgamations’, put forward by Councillors Grace, Griffith and Young on April 6th, along with a request for an ECM, and not listed until the Council Meeting of the 18th, was overturned at a subsequent ECM, called with less than 24 hours notice and held on Thursday April 21st, during the absence of Councillors Griffith and Hegarty. Councillor Griffith was overseas meeting a week of work commitments, departing Tuesday afternoon. 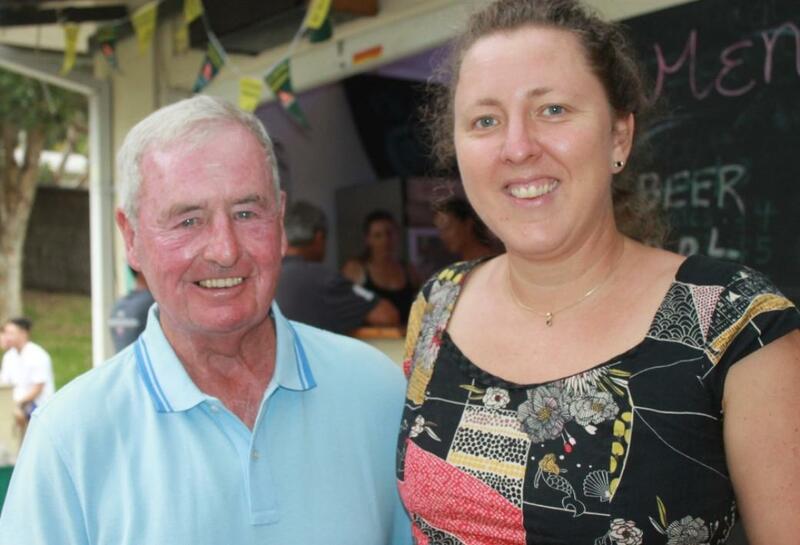 Councillor Hegarty also left Pittwater on Tuesday to attend the 2016 Aussies (Australian Surf Life Saving Championships) in Queensland and support her daughter, a competing member in the surf boat arena for Newport SLSC. Both Councillors had voted for the Motion. In a Tuesday media report Mayor Townsend was reported as having ‘slammed the idea as a waste of money which would cost $60k'. No mention was made in that report of a statement by Cr. Townsend during the course of the Monday evening meeting that our Mayor had written to the Minister for Local Government, requesting Pittwater “receive an undertaking from the Minister for Local Government, Paul Toole that he would not attempt to act on the delegate's report into the forced merger of Pittwater until after the hearing on Woollahra Council’s action was settled” – which the Mayor also stated had been emailed to all Councillors, reiterating her ‘intention to seek a similar undertaking from the Minister’ on the same date the Motion and request for an ECM was communicated to her – April 6th. Unfortunately the ‘C8.1 Mayoral Minute - Local Government Reform’ as part of the Council Meeting preceding the ECM is not in the Minutes of this Meeting. Nor is whether Mayor Townsend has received a reply from the Minister for Local Government. d) Failure to release the full contents of the State Government's KPMG report and such other grounds that may become relevant to the hearing. 2. That Pittwater Council's legal counsel be authorised to seek to join Woollahra Council in its current action. 3. That Pittwater Council's legal counsel brief Council in respect of such action. 4. That this be actioned immediately due to the urgency. The Motion was subsequently reworded through the ECM due to a perception that the time to join Woollahra Council’s legal action had elapsed. The Motion was then passed. For: Cr.s Bob Grace, Sue Young, Selena Griffith, Julie Hegarty and Kay Millar. “Oberon mayor Kathy Sajowitz said an approach had come from Walcha Council for Oberon and other small councils, including Cabonne, to support Woollahra’s action. This refers to Woollahra's legal advice that State government has used sections of the Local Government Act designed to be used only for voluntary amalgamations, not forced ones. “Woollahra Council has accused the Baird government of failing to conduct a proper inquiry into the merger of Waverley, Woollahra and Randwick earlier this year because the delegate, Rob Lang, simply adopted the government's modelling on the potential savings without testing it. In what could be a landmark case on the Baird government's plans to reduce the number of councils in NSW, the Land and Environment Court heard Dr Lang had concluded in his report on the three way merger that the financial benefit from the three way merger over the next 20 years would be between $149 million and $235 million in today's dollars. On Tuesday April 5th the same publication reported Woollahra Council had already begun action in the Land and Environment Court and had sought and received an undertaking from the Minister for Local Government, Paul Toole that he would not attempt to act on the delegate's report into the forced merger of Woollahra with Randwick and Waverley until after the hearing on April 20. Woollahra’s case was heard on 20 and 21 April and has been reserved. Garry West’s report to the state government mirrors the state government’s pre-ordained position that Ku-ring-gai should be forcibly merged with Hornsby Council. Ku-ring-gai Council has successfully obtained a copy of the Delegate’s report, in proceedings against the state government in the Supreme Court. Delegates appointed by the Baird government to examine the case for forced mergers submitted their reports to the government at the end of March. Until the Council’s court action, the reports have been kept secret. However in the case mounted by the Council, the Baird government was forced to hand over a copy of the Delegate Garry West’s report. Justice Elizabeth Fullerton’s decision to move Ku-ring-gai Council’s case from the Supreme Court to the Land Environment Court disclosed the delegate Garry West’s recommendation that “the proposal as submitted should proceed to implementation”. She singled out Mr West’s report as ‘superficial and misleading’. • Despite 83% of submissions and speakers at the public inquiry expressing strong opposition to the merger, consistent with the results of an independent survey conducted in 2015, those views were discounted as ‘no impediment to the amalgamation proposal’. In fact, the attitude of ratepayers and residents is a mandatory legal consideration under Section 263 of the Local Government Act. • His financial conclusions for why a merger should proceed based on superseded data and without the KPMG report, which has still not been publicly released. The Delegate accepted the state government’s financial claims about mergers without testing the veracity of those claims. • An allegation that Ku-ring-gai Council had manipulated residents’ submissions to the public inquiry with form letters, which is untrue. Mayor Szatow added that Ku-ring-gai Council could cease to exist in ‘a matter of days’. “We will keep fighting for our residents rights in the courts till we have exhausted every avenue, but I fear that our Council is very close to the brink now”. With some media reporting a recommendation from the Minister of Local Government on each merger may occur as early as late April, what difference does a day, currently, make? d) Failure to release the full contents of the State Government’s KPMG report, or any other matter that becomes relevant. 2. That Council notes the advice from Council’s Legal Representatives that there is no substance to the grounds raised by the Council in its resolution of 18 April 2016. 3. That Council notes the General Manager’s Memorandum to Council dated 20 April 2016. 4. That Council no longer seeks to immediately institute legal proceedings as resolved on 18 April 2016. On Wednesday April 20th the Save Our Councils Coalition (SOCC) Facebook page stated, “April 20 Extraordinary Council Meeting – closed to the public; Mosman Council unanimous resolution tonight to commence legal proceedings against the NSW Government”. 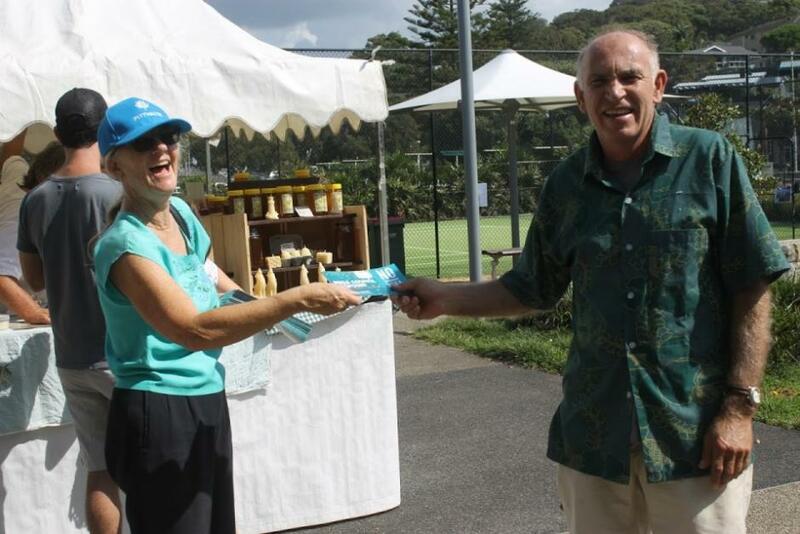 Mosman has allocated $100k to support this action – coincidentally the same figure allocated in the Pittwater Council Meeting of March 7th, 2016, to fight the most recent Warringah Council proposal to have jurisdiction over Pittwater once more. "2.0 RECOMMENDATION 1. That Council note Warringah Council’s alternate merger proposal to amalgamate Pittwater Council, Manly Council and Warringah Council to form one council. ... 5. That a budget allocation of $100,000 be provided for a community engagement program." Hunter’s Hill Council has a long and proud history of representing the views of its residents. Council has fought off several amalgamation attempts in the past with the full support of the local community, and will continue to represent the interests of its community. Following a request from Hunters Hill Council to the NSW Minister for Local Government and the Minister’s appointed Delegate to be provided with an opportunity to make a fully informed submission, which included the opportunity to review a copy of the Delegate's Report and financial modelling referred to by the NSW Government in its case for reform, in relation to the proposed merger Hunter's Hill, Ryde and Lane Cove Councils, a request that has been formally refused, Hunters Hill Council has today commenced legal action against the Minister, the Hon. Paul Toole, and the Delegate, Dr Robert Lang. The detailed financial analysis by KPMG (KPMG Report), which was commissioned by the NSW Government last year as a means of reinforcing its case for forced council mergers across NSW has been withheld from councils and the public. Hunter’s Hill Council, Ryde City Council and Lane Cove Council have responded to the NSW Government local government reform agenda by proposing a Joint Regional Authority (JRA) model that will provide increased service delivery to residents at a reduced cost whilst still maintaining existing local government boundaries and local representation. This model has been strongly endorsed by the multi-partisan 2015 NSW Legislative Council Inquiry into Local Government. “Our JRA model delivers the savings and efficiencies the Government is seeking without a loss of local identity and grassroots representation”, Clr Quinn said. “The Government has lied to us about the supposed benefits from a merger, refuses to provide relevant information and is not transparent in its actions. It simply does not understand communities and the significance of local democracy in this country” he said. “Local communities need their councils to remain truly local. ROCs (Regional Organisations of Councils) containing groups of independent councils are well positioned to deal with State Government on matters of mutual interest and importance. Forced amalgamations are definitely not needed or warranted” he said. The next Pittwater Council Meeting is scheduled for May 2nd, 2016.